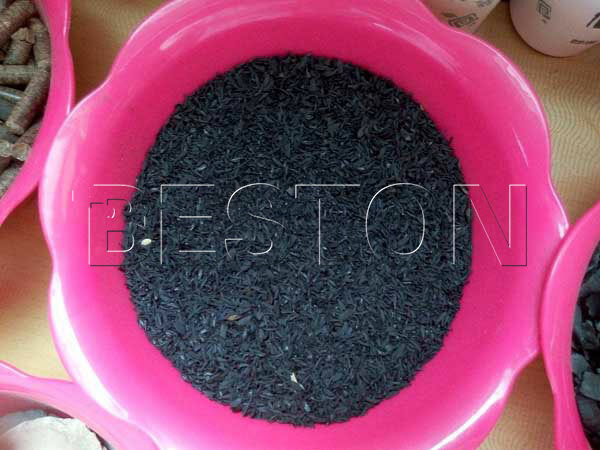 Beston rice hull carbonizer is designed to make charcoal from rice husk waste. In this way, the air pollution caused by burning rice husk waste can be avoided, and you can also make profits from the rice husk charcoal. 1. It is a kind of heat insulating material. It is light in weight, and its conductivity for heat is also low. But it is excellent in thermal insulation, so it can be used in metallurgy industry. Using the rice husk biochar can reduce the radiation, convection current and thermal losses, and can cut down the energy consumption. Thus it is beneficial to increase the lumber recovery. 2. You can use it to make activated carbon. And the active carbon made from rice husk is good material in medical, sugar process, and food industry. 3. It is also helpful in agriculture. Because it can increase the temperature of the soil, loosen the soil and adjust the pH value of the soil, thus it is useful to increase the out yield of the field. Since the rice husk charcoal is so valuable, you may wonder how to make carbonized rice hull. 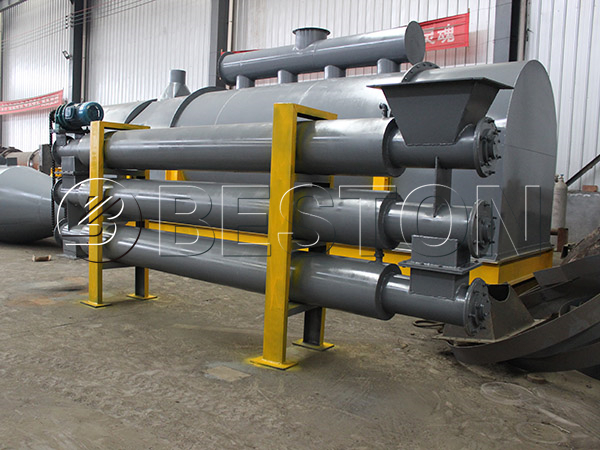 The waste rice husk is processed in the carbonization host under high temperature. After the high-temperature pyrolysis, gas volatilization, sulfur emission, carbon enrichment process, you can get rice husk charcoal. 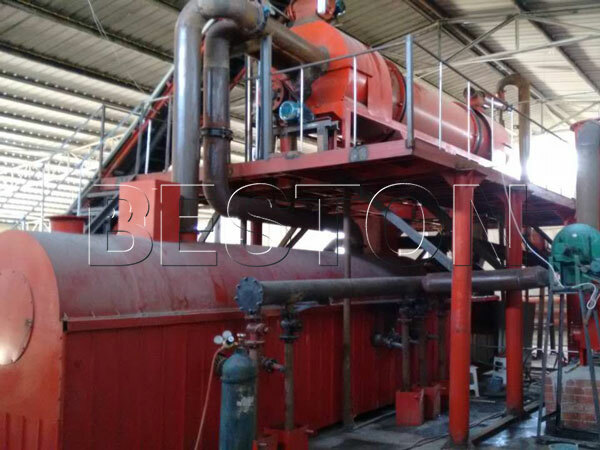 The rice husk charcoal making machine mainly uses the biomass carbonization technology, which aims to handle the problem caused by the biomass waste, municipal solid waste and sewage sludge, so the raw materials the plant can handle are various. Using the plant, you can get charcoal from sawdust, coconut shell, palm shell, and other biomass waste, you can also recycle the sewage sludge and municipal solid waste with this machine. Moreover, there are several models for you to choose from, and they are BST-05, BST-10, BST-20 and BST-30. 1. The double-layer design can make the carbonization host contact the hot air as much as possible. In this way, the heat efficiency is higher. 2. The machine can work continuously, so it can save a lot because starting the plant costs a lot of energy. 3. It costs less energy. The combustible gas produced can heat the carbonization host if the amount of the combustible gas is large enough. 4. You can not only get the charcoal, you can also get the wood vinegar and tar. 5. The security design is perfect. The protecting shell, sealing system and overpressure automatic alarm system and pressure-temperature display system can ensure the safety of the operators and the plant itself. If you have an interest in our rice hull carbonizer, or you have any problems, do not hesitate to contact us. We will give you the detailed information about our charcoal making machines, and try our best to satisfy your demand.